Pierre and Catherine got married this past Friday at the Barnyard Theatre in Plett. Cath’s bridesmaids transformed the theatre into a magical place, with thousands of fairy lights, candles, flowers everywhere, even hanging from the roof! You girls did an amazing job! You looked so beautiful Cath! Thank you for having me at your fairytale wedding! May you and Pierre be blessed beyond words. 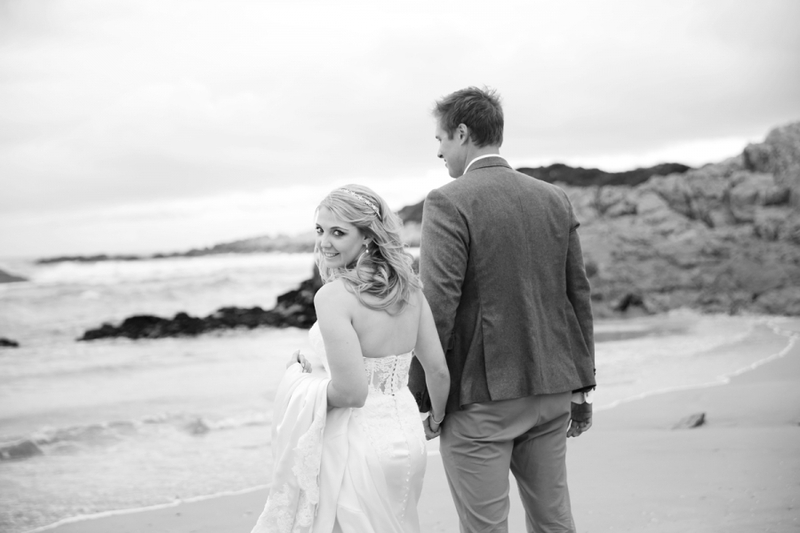 Curran & Kate got married this past Saturday at the beautiful Equinox Restaurant in Plett. The two of them, better known as Cuz and Square, are such a cute couple. They are the best of friends with a huge sense of humor and love for life. We enjoyed the day with you Cuz and Square and wish you all the best for your marriage! Lior & Anneline celebrated their love this past Sunday, when they said their ‘I do’s’ in front of their close family and friends at the Knysna Featherbed Nature Reserve. They met while working on the crew ships, Anneline as part of the entertainment team and Lior as security. Anneline is a spontaneous, bubbly person and Lior, a true gentleman with a very good sense of humor and a love for his lady that no one can deny. May you always love one another this much! Ruan & Yani het Saterdag by Oppieplaas getrou. Hulle troue was my heel eerste troue na my kraamverlof en ek het dit so baie geniet om weer agter die kamera te wees! Yani & Ruan is vreugdevolle, pragtige mense en kinders van die Here, so hulle het my werk vir my baie maklik gemaak. Hulle moes plan B in werking stel, omdat dit die oggend en vroeë middag gereën het, maar dit het nie vir Yani enigsins gepla nie… solank Ruan net aan die einde van die ‘isle’ was, was alles OK! Ek weet julle huwelik gaan vir julle en ander een groot blessing wees!Geniet elke oomblik van die journey! Dankie dat ek julle dag kon deel. Nic & Jeanine’s wedding at Tramonto, was my last wedding before my maternity leave started, but also our very last wedding at Tramonto… So needless to say, it was a bitter-sweet day. But we ended off with a high, as these two were wonderful and the light was beautiful. We just enjoyed the day so much! Thank you Nic and Jeanine for having us there to be a part of your special day! May these images remind you always of how blessed you are to have one another. Jac-Ni & Surita het hulle liefde Saterdag by hulle oggend troue te Uitsig in George gevier. Hulle is die rustigste twee mense en ons het ons tyd saammet hulle so baie geniet. Dit het gladnie eers gevoel soos werk nie, maar soos ‘n kuiertjie saammet ou vriende. Dankie dat ons kon deel wees van julle spesiale dag Jac-Ni & Surita! Julle is 2 stunning mense en gaan ‘n wonderlike huwelik hé! 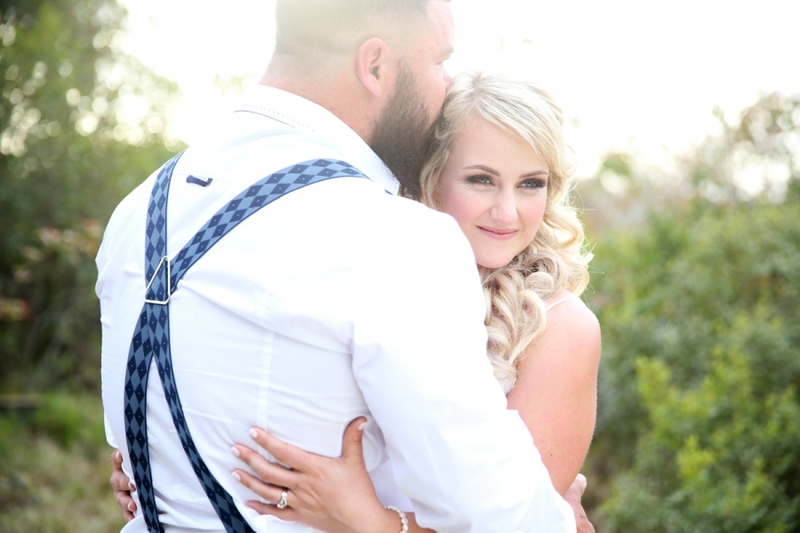 Dankie Adele van Adele van Zyl Photography dat jy my so getrou assisteer by troues en ook aan my liewe man, Jaco van JVS Productions, wat die beste videograaf is wat ek ken! Dankie ook aan Johan & Annemarie Meyer van Uitsig vir die pragtige venue en Wilna Allpass van Make-up By Wilna dat jy vir Surita soos ‘n sneeuwytjie bruid laat lyk het! Roydon & Amy’s wedding was one to be remembered, for sure! They live in London, but decided to promise their love in Cape Town, South Africa, where they are from. They are a beautiful couple, from inside and out and it was such a pleasure spending the day with them! The weather threw us a curve ball though, as it started pouring with rain a few minutes before their newlyweds shoot. The two of you were stars and handled the cold and wet weather so well! Our wish for you, Roydon and Amy, is many sunny, happy and blessed days in your marriage! Lucy was one of my most smiliest, happiest brides ever! I had so much fun with her! I loved the soft colours of this wedding and the light and sun played along as if Q’ed on the minute. Peter & Lucy have loved each other since they were teenagers… how special is that! 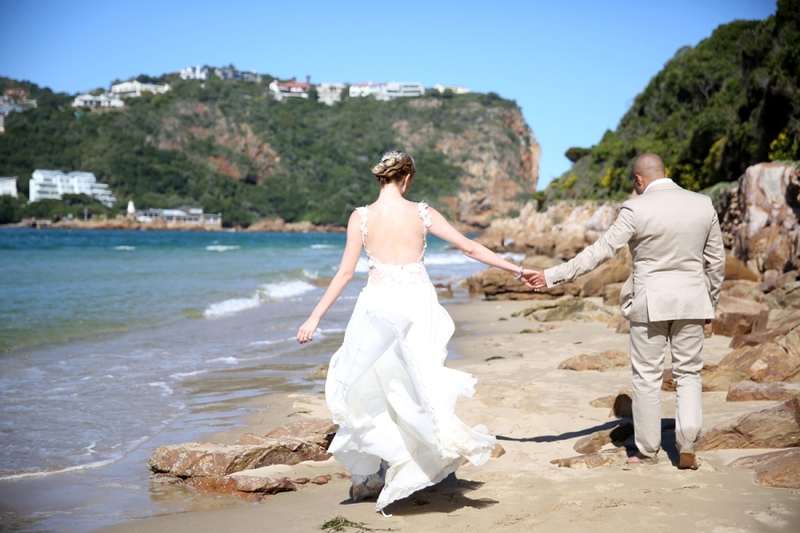 They are the cutest couple and said their ‘I-do’s’ on Lookout Beach and celebrated their special day at Equinox in Plett. Thank you Lucy & Peet that we could share in your joy and your love! Dit was ‘n wonderlike voorreg om Saterdag te kon deel wees van hierdie twee spesiale mense se troue by Die Woud in Calendon. Die venue was droommooi! En Sylvia van Special Events het my asem weggeslaan met die décor en blomme! Corlia het STUNNING gelyk in haar Elizabeth Stockenstrom rok en was ‘n droom om af te neem. Ek kan aangaan en aangaan oor die atmosfeer, die lig, die mense en die liefde op hierdie troue! Baie dankie Martin & Corlia dat julle ons soos family laat voel het op julle troue! Mag julle so baie geseénd wees in julle huwelik! Geniet julle honeymoon en hierdie voorsmakie. Jason is from Australia and Linzi from South Africa, they now live in London. I loved their stylish décor done by Sandra from Lily & Lime. The contrast between the shiny brass pots and white flowers & the shwe shwe napkins and bunting was a perfect reflection of Linzi’s personality… stylish, but informal. Thank you for my prezzie Linzi! I’m so glad that my team and I could share in your beautiful day!